Mnogo has a chat roulette option for you. There’s no age requirement at Monogo but we recommend you to be at the least 18 years. There are also a few other options in chat roulette in Mnogo Chat. There are a few other chat roulette system at Monogo. You can chat with Russians, French and German people chat roulette services. You can also use multi chat at Mnogo. 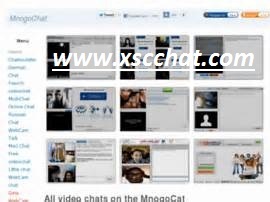 The other option for chatting in Mnogo is Online Chat. You require to register for join to online chat but this service is only Russian. So it will be hard for you to register. Mail chat and free video chat is completely Russian and you won’t able to use these services if you don’t know Russian. Mnogo is generally Russian based chat site. You should use it if you ever meet with any beautiful Russian girls in Internet. Mnogo chat is free and easy to use and you don’t need to know Russian, if you able to understand what does button do in chat roulettes.